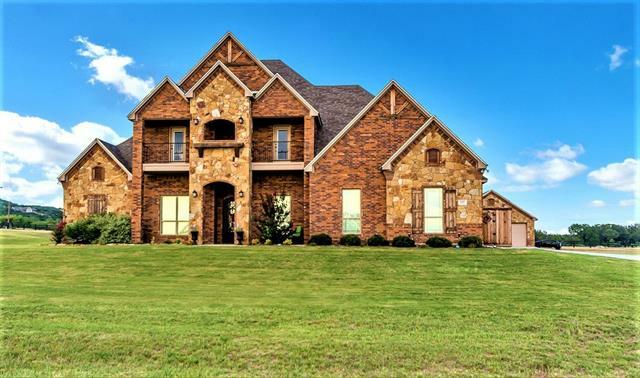 All Graford homes currently listed for sale in Graford as of 04/19/2019 are shown below. You can change the search criteria at any time by pressing the 'Change Search' button below. If you have any questions or you would like more information about any Graford homes for sale or other Graford real estate, please contact us and one of our knowledgeable Graford REALTORS® would be pleased to assist you. 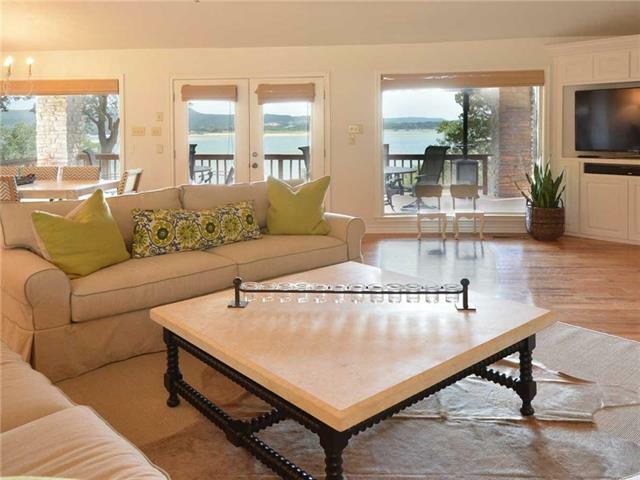 "This luxurious, fully-furnished, waterfront home, built in 2008, offers a tranquil getaway on one of the most beloved lakes in Texas. The house features 2 master suites. The gourmet kitchen is chef ready and includes a temperature-controlled wine room which holds 200+ bottles. The attention to detail is clear when enjoying the custom designed pools and spa along with the 2 fully equipped outdoor kitchens. 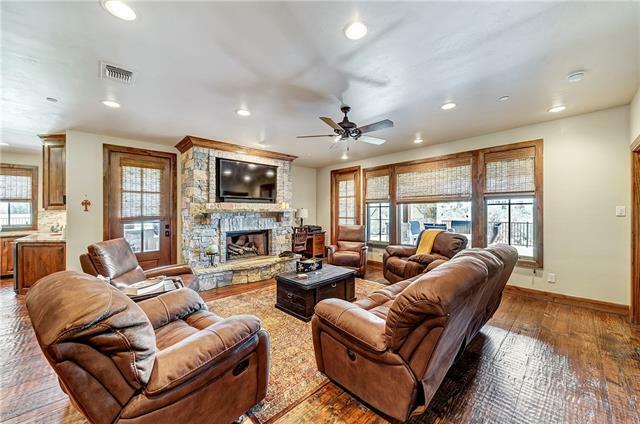 The house also features a Media room which seats up to 8 people comfortably and a privat"
"Amazing opportunity to own this incredible custom built home situated on one of the most private pieces of property on Possum Kingdom Lake. This exceptional home located on the Pointe within the amenity rich Harbor community and HAS IT ALL. Fully furnished, this home is ready for immediate use. Stunning water front view from almost every room in the house. 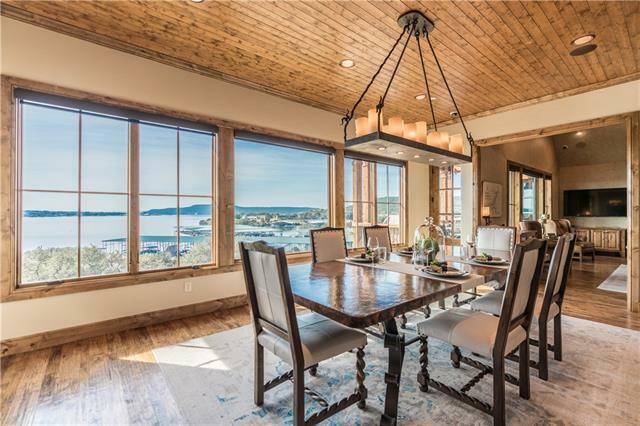 Custom hand scraped floors, professional series Viking appliances, large glass pane windows, smart home system, electric shades are just a fe"
"Unprecedented luxury meets turn key convenience. This stunning penthouse condo offers EVERYTHING for a lake lovers dream. 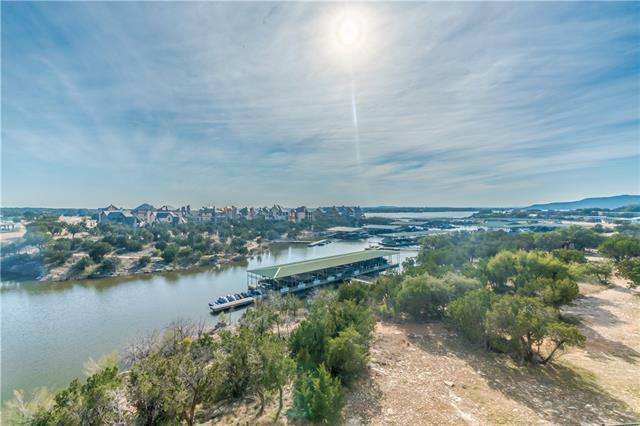 Furnished,this condo offers high end wolf and subzero appliances, eat in chef's kitchen,large open floor plan,two living areas,hand scraped hardwoods throughout,breathtaking views of Possum Kingdom Lake, two garages and so much more. Do not miss the opportunity to own one of PK's most unique properties. Enjoy stocked fishing ponds,two resort style pools,large fitness center,s"
"Luxury on the Lake! 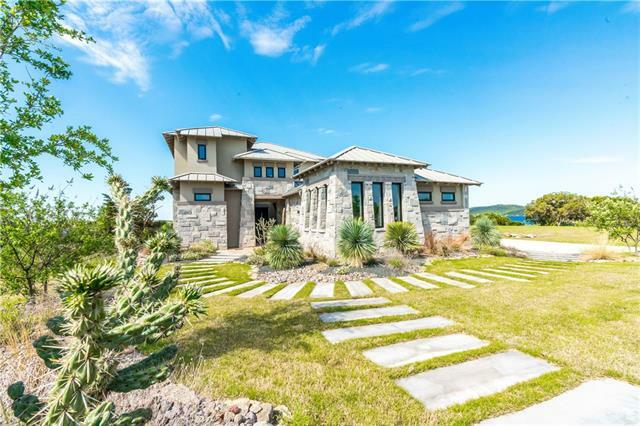 This magnificent home, sits in one of the most pristine locations within the elite, The Cliffs Resort on Possum Kingdom. Enjoy the near 360 degree panoramic views from the multiple balconies and expansive wrap around veranda, overlooking the main channel of the lake. 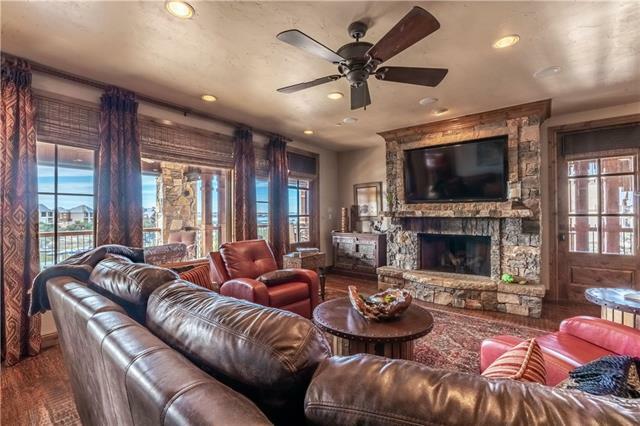 From the moment you walk through the door, you can see this home was made for entertaining! The large great room on the main floor, with floor to ceiling rock fireplace, commands presence. The great room opens "
"This truly unique home located in The Harbor offers everything you could possibly want in a lake home. 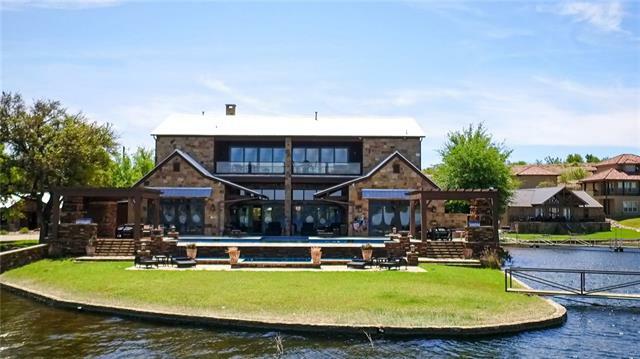 Spacious wrap around patio boast panoramic views of one of the largest ponds on the property. Family and friends will enjoy the many memories made in this phenomenal outdoor kitchen area. Luxury lake living at its finest. 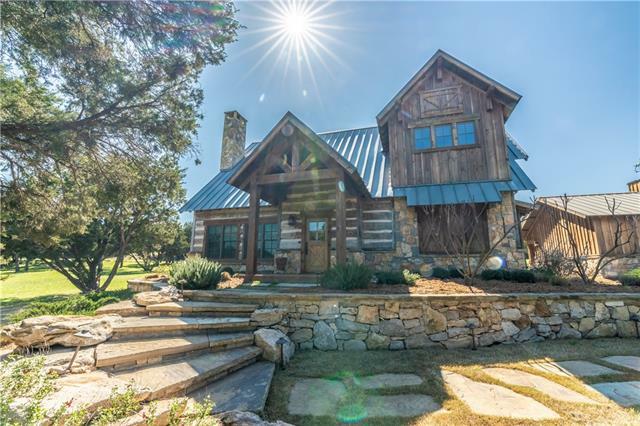 Custom hand scraped wood floors, stainless steel appliances, full outdoor kitchen, amazing indoor outdoor wood burning fireplace. And there is more, guest quarters allows for"
"Sensational Sunsets.....Totally remodeled home with plenty of room for friends and family. Beautiful lakefront 3 bedroom 2 bath in home with separate guest quarters with bath. Home boosts granite countertops, stainless appliances, decorative touches and huge porch with beautiful view. Double decker dock with slip for boat and 2 personal watercraft. Home is completely ready for fun all it needs is YOU!!!" "Lake life at its finest - Waterfront Views!!! This incredible lakefront Double Unit Penthouse is the premier 'home with the view' in PKL's amenity rich Harbor community. This exceptional family home is spacious, open and bright. Fabulous views from the great room, kitchen, dining room, game room and both master bedroom suites. Celebrate the spectacular 4th of July fireworks show or enjoy the multifaceted lake views off either of the two covered balconies. 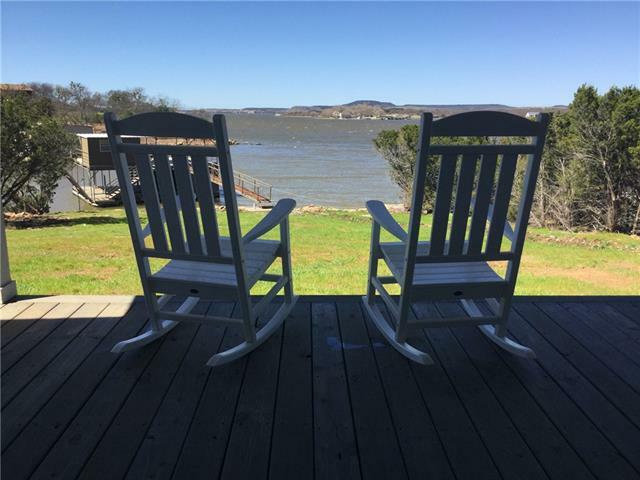 Unwind while watching the boating act"
"Situated on a heavily treed, private one-acre lot, this freshly updated and beautifully designed Possum Kingdom home is located on the Peninsula which is known as the heart of the lake . The water views are breathtaking and the deep-water location includes a two-story dock with boat lift. Light, spacious and with an open floorplan, this home is move in ready with 4 bedrooms and 2.5 baths. The living area opens onto an expansive deck, perfect for entertaining family and friends. Additional "
"Great opportunity to own this stunning, fully furnished cabin in the amenity rich Harbor community. This home offers not only a breathtaking interior but an unrivaled outdoor entertaining space equipped with your very own spa and water feature. Enjoy a peaceful evening with the stream that runs behind the house while having a glass of wine at the outdoor fireplace. Each bedroom offers it's own suite for your guests comfort. Hand scraped hardwood floors, stainless steel appliances. full outdoor k"
"Luxury and privacy inside the amenity rich Harbor community. This furnished, beautiful custom home built in 2014 is loaded with high end finish outs sure to impress anyone. 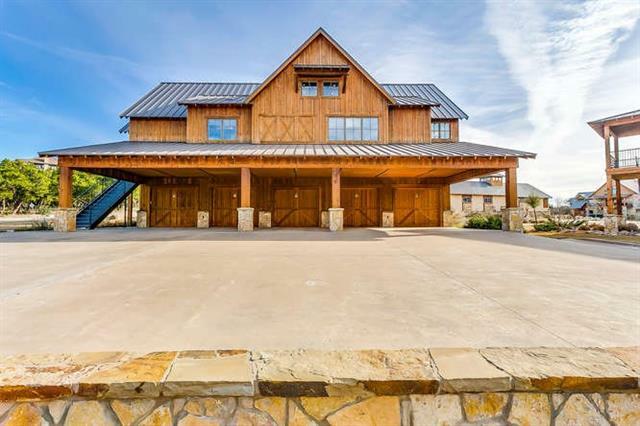 Hand scraped hard wood floors, granite counters, high end stainless steel appliances, barn wood ship lap walls, are just a few stand out features. Enjoy an evening on the over sized outdoor patio with full outdoor kitchen and entertainment center while watching the deer and turkey cross through your private oasis. Over sized "
"Private, fully furnished cabin within the amenity rich Harbor community! 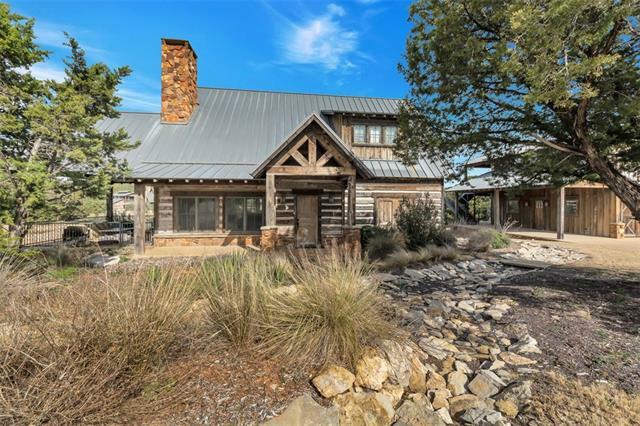 This four bedroom, one story cabin offers an open concept floor plan to entertain family and friends. 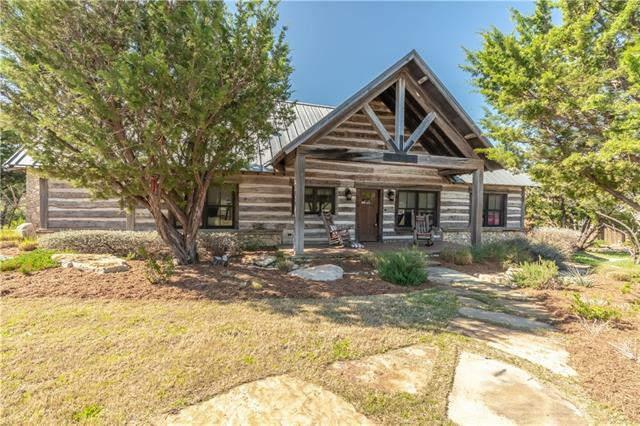 High end stainless steel appliances, hand scraped hardwood floors, vaulted ceiling with exposed cedar beams, and granite counters throughout are just a few highlights of the magnificient property. Step out onto the large covered outdoor patio and enjoy your full outdoor kitchen, fire at the outdoor fireplace all the white t"
"Spectacular new build home within the ultra exclusive Pointe area inside The Harbor. This brand new,fully furnished,four bedroom, four bath home offers everything for lake goers needs and wants. 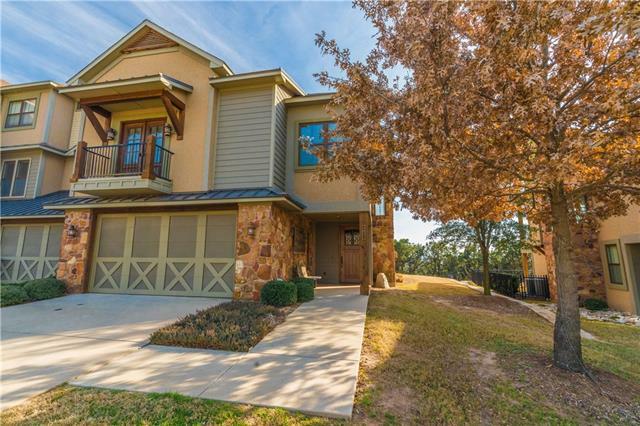 Large open concept floor plan with accordion style doors that lead out on the private covered patio, Hand scraped harwood floors, stainless steel appliances, attached two car garage, granite counters and much more are just a few stand outs of this property. 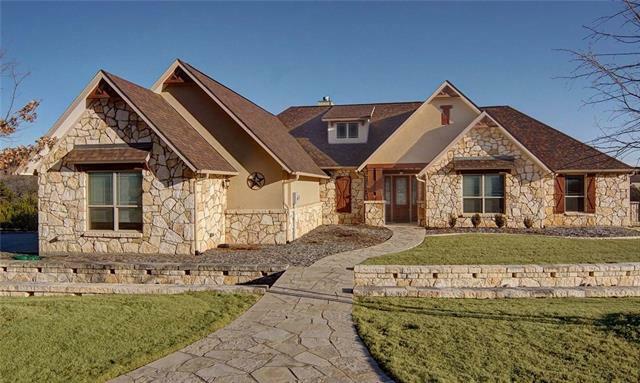 You are steps away from the private Pointe pool"
"Amazing custom home located at Possum Kingdom Lake. This PK home has something for everyone! Six bedrooms, office, 8 ft interior doors, upstairs balcony, open concept kitchen living, and energy efficiency. The property also offers a 1,200 sq ft detached garage perfect for storing your toys, or enjoying your favorite hobby. The Hills Above PK offers free boat storage, private boat ramp, workout facilities, 2 clubhouses, private dock, and an amazing infinity pool with splash pad over looking P"
"Looking for a weekend hideaway. Look no more. This unique property sits on three lots. Enjoy the game room and movie theater in a separate metal building with work benches, and plenty of storage area. Sit back and relax to the sounds of a creek as it flows through the property. Lot 756-R conveys to buyer, Furnishings and Sun Tracker 24 ft pontoon, boat slip. The property also has a water well approximately 90 ft deep. Shrub bubbler, sprinkler system, security system." "Stunning,well appointed fully furnished condo within the amenity rich Harbor community. This condo is one of the only units that provides an additional media room! Hand scraped hardwood floors,state of the art control four technology package,high end stainless steel appliances are just a few of the highlights of this beautiful condo. 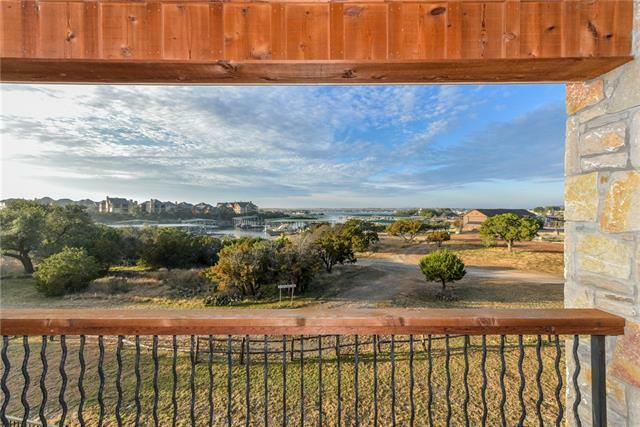 Step outside onto a large outdoor patio with stunning views of Possum Kingdom Lake. Walking distance to the main resort pool,marina,and fitness center! If you are l"
"Stunning second floor, furnished, end unit condo in the amenity rich Harbor community. This is the ultimate lake getaway with beautiful lake views and no maintenance lifestyle. Hand scraped hardwood floors, stainless steel appliances,alder wood cabinets,granite counter tops are just a few of the upgraded finishes. 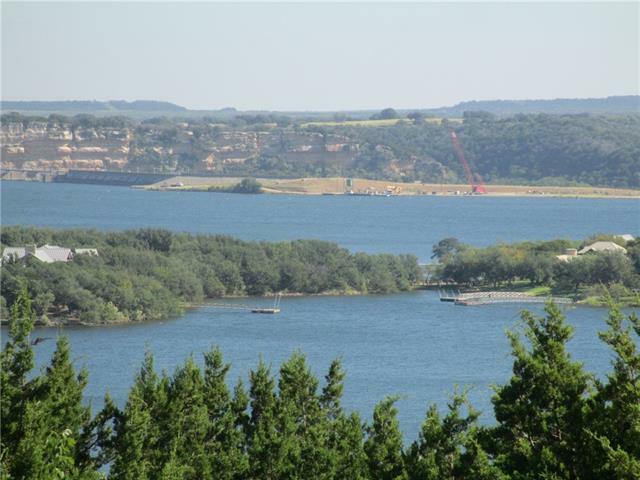 Step out onto the large wrap around patio and enjoy a majestic view of Possum Kingdom Lake. Steps away is the main Harbor resort swimming pool and fitness center.Short golf cart ride t"
"RARE,furnished,corner unit Villa with garage conversion in the amenity rich Harbor community. 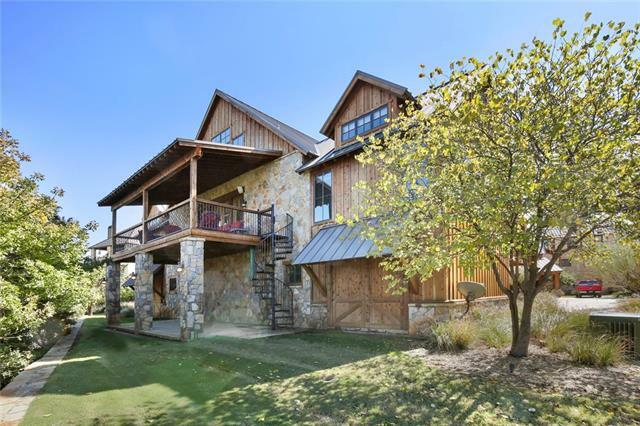 This property allows you to maximize your lake life without breaking the bank. Hand scraped hardwood floors,stainless steel appliances,granite counters throughout, 2 covered patios, STUNNING lake views and so much more are just a few high points of this great property. The bonus living space makes for a perfect media room or game room. Walk out front yard which can be fenced in is great for kids and ani"
"LOCATION AND VIEW! Rare opportunity to own this ground floor,end unit condo,in the highly desired Century Oak building within the amenity rich Harbor Community. Enjoy gorgeous lake views, walk out grass area and only steps away from your boat! With a fenced in wrap around patio, you will never have to worry about the little ones or your pets wandering off. Hand scraped hard wood floors, stainless steel kitchen aid appliances,granite counters, jetted tub in the master, alder wood doors and trim a"
"Stunningly beautiful condo with high end finishes, including handscraped hardwood floors, granite counter tops, stainless steel appliances, lighting system, Sonos sound system. Relax and enjoy lake views from your patio within the amenity rich Harbors." "Make each day an adventure with fishing, swimming, hiking, horseback riding and concierge boating just steps from your front door. The Harbor s upscale amenities make the lakeside lifestyle complete, including a marina, chapel, spa, fitness center, family pools, dining, and a full-time concierge. This stunning one of a kind Carriage home within The Harbor community has 2 bedrooms, 2 bathrooms with a bonus loft for additional sleeping is the perfect lake property getaway. 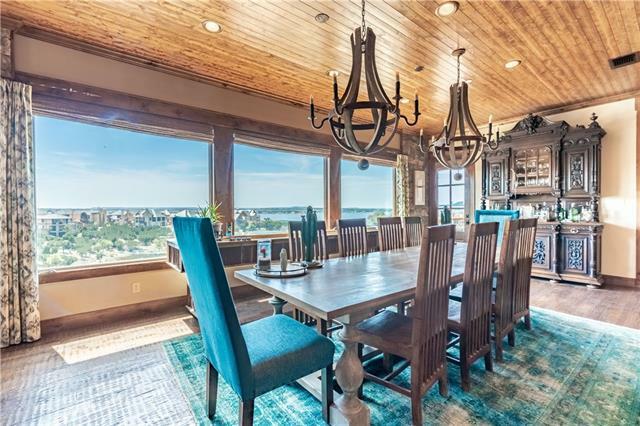 Gorgeous lake views ri"
"Luxurious, new custom home with sprawling lake views of Possum Kingdom Lake in the Cliffs Resort. The second story features a spacious outdoor living area with an enormous covered patio perfect for entertaining and enjoying the relaxing, beautiful views. The upstairs also hosts an open living area with fireplace, kitchen with dual height granite island for dining, powder room, as well as the master bedroom and bath. The first floor purposely accessible for multi-generational use with ADA standar"
"Beautifully furnished home in The Harbor. The home is ready for your family to move-in. The home will sleep eight people. Open concept with vaulted ceilings and lots of windows for light. You can view the lake from the dining room window. The back of the home overlooks the common area amenities which include a pool, work-out facility and outdoor BBQ area. The home is a second floor carriage home. There are no adjoining walls like in the condos. one of the bedrooms has handmade bunk beds "
"Rare opportunity to own this fully furnished incredible ground floor 3-3 in the iconic Century Oak Building within in The Harbor. Enjoy a large open common back yard with stunning lake views. This condo is perfect for any family looking for that special getaway. This condo is loaded with extras including top of the line kitchen aid appliances. 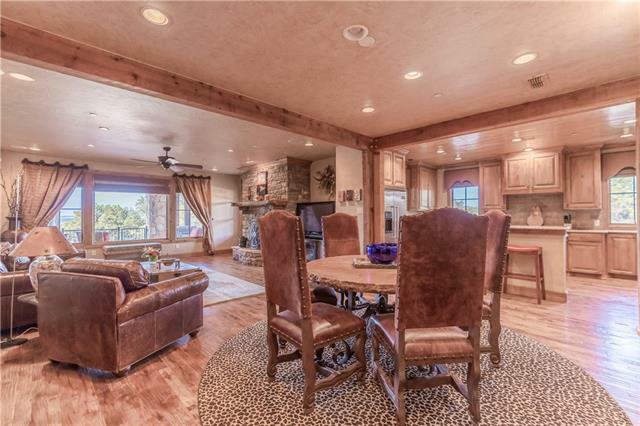 Enjoy handscraped hard woods throughout the living area of this home. Walk out your backdoor and right onto your boat." "Unique opportunity to own a bottom floor end unit condo within the amenity rich Harbor community. This condo has all the upgrades you would want in a lake home. Enjoy custom hand scraped hardwood floors,top of the line stainless steel appliances and a beautiful wrap around outdoor patio. The schedule a showing or for further information about this stunning condo contact Michael Avidon at 817-965-6118"